Assistant Photo Editor @ AARP Media Jenna Isaacson Pfueller portfolio on Visura - a professional network to connect with photo editors and art buyers, and build photography portfolio websites. Visura members, like Jenna Isaacson, share photojournalism, art photography, landscape, travel photography, portraits and more. Jenna Isaacson has 0 projects, community news posts, and 0 images shared in the photo stream. 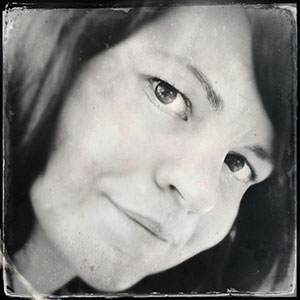 Jenna Isaacson Pfueller is a proud Midwesterner, handmade crafter, admitted thrift store addict and long-time photojournalist, now living and working as an online photo editor at AARP Media in Washington, DC. A graduate of the University of Missouri-Columbia School of Journalism, she has worked in the news industry since 1999, doing everything from writing obituaries to photographing a Superbowl. Her primary roles have included that of photographer, writer, photo editor, and videographer, having worked as an intern at the Salt Lake Tribune, St. Joseph News-Press, and as a staffer at the Columbia Daily Tribune and the Sarasota Herald-Tribune. She has been tackled by a college linebacker, chased by angry pit bulls, and had her head stepped on by an off-balance presidential candidate in front of a huge audience-- all in the name of journalism. Her Kickstarter project on American thrift culture, All Thrifty States, is nearing completion and has been featured on The Washington Post's Insight blog, The Brian Lehrer Show, and Huffington Post, among others. In her spare time she enjoys camping, sassy crafting, and playing funny songs on the ukulele for her husband and son.